PHUKET: The Phuket Provincial Office Chief Administrative Officer (Palad) has again called for extra effort in the fight against drugs to stave off an epidemic of drug use across the island. Palad Sakchai Kunanawatchaidej called up for ramped-up action against drugs at a meeting of the working group on drug abuse analysis and surveillance in Phuket held at Phuket Provincial Hall yesterday (Mar 19). “Drugs are still spreading and increasing in Phuket,” Mr Sakchai said. 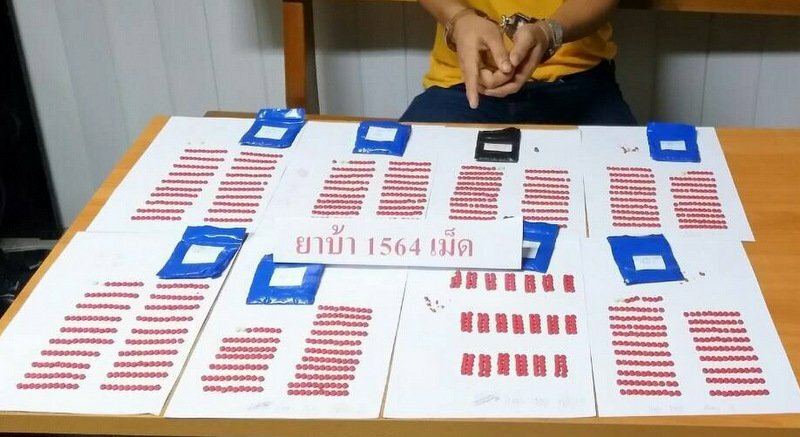 “Despite officers’ serious attention in continuing their searches for and arrests made for drugs, more drugs are being smuggled into and being sold in Phuket. “Drugs are being transported here via road transportation and even postal services,” he added. Most of drugs found in Phuket are kratom, ya bah (methamphetamine), marijuana and ya ice (crystal meth), Mr Sakchai noted. In response, Mr Sakchai called for the anti-drug campaign to also target educating youths, not just making arrests. “We need to educate youths about the dangers of drugs and what it can do to their lives,” he added. The U.S. has conducted a "War On Drugs" for 50 years, spending billions of dollars. Not only has if failed completely, it has created major gangs who are very wealthy. And, filled the prisons. In the U.S.. the prohibition of alcohol also failed miserably with the same result of funding criminals and filling prisons. People want both. There's no way they won't use them. Production of drugs need factories, transports of chemicals, dumping of production rubbish. Search it! Is there now no drugs education for youngsters? Why not?